If you want to make a lot of money, find a product that everybody wants and sell it. The trick here is finding the right product. Wouldn’t it be great if you could just sell other people’s products that have already been manufactured and proven? Well, that’s being done every day by more and more people just like you who are making good money by becoming what’s known as an affiliate marketer. Affiliate marketing is defined as an Internet based marketing practice in which a business pays the affiliate for his efforts in bringing customers to their website. In other words, they’re using one website to drive traffic to another where the purchase is ultimately made. When this is done, or an item is purchased, the associate gets paid or gets a commission. 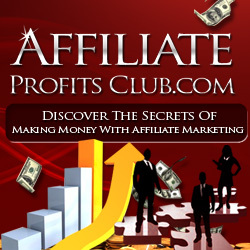 Affiliate marketing has grown steadily since its inception more than a dozen years ago. There are several ways to receive compensation. Most affiliate programs use revenue sharing or cost per sale. Others use cost per action or cost per click. It’s your job to send visitors through your affiliate link. Merchants like affiliate marketing because there’s little expense to them unless a sale is made. Affiliate marketing is also called performance marketing because you’re rewarded according to your performance. If you don’t perform, you don’t get paid. Most affiliate programs and affiliate networks offer free participation when you fill out the required forms and get approval. They’ll sometimes want to see your website. Develop a website, blog or forum on something you know and love and it becomes much easier. People search the Internet primarily for information and as they’re accessing that information, many will click through your affiliate link for additional data where the sales pitch is made. Turn your knowledge into content and content will turn into income. Create a website that’s professional and attractive that will delight your visitors. Find a niche market if possible and specialize for less competition. It must also be convenient and easy for your customers to click through to the affiliate. Keep them happy with your knowledge and reputation. Theme-based websites are best. For example, cooking exotic dishes with tasty recipes. This would put you in a great position to market for various companies that sell cookbooks, cookware and foods that go into preparation of the dishes. Sewing unique fashions is an excellent idea if that’s your talent, leading to a market for fabric and clothing stores. The theme based list is endless. Be creative and call upon your own talents and expertise. Affiliate marketing is rarely a get rich quick scheme, but you can start part time requiring little money. With proper planning, learning and a little work you could develop a respectable income.